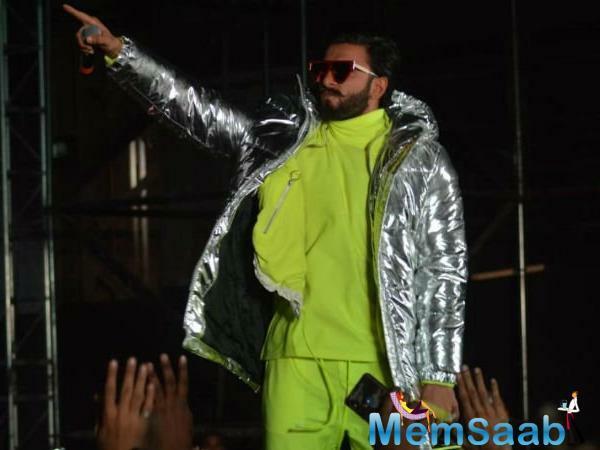 Galleries >> Super energetic Ranveer Singh jumps into the crowd at Gully Boy Music Launch! 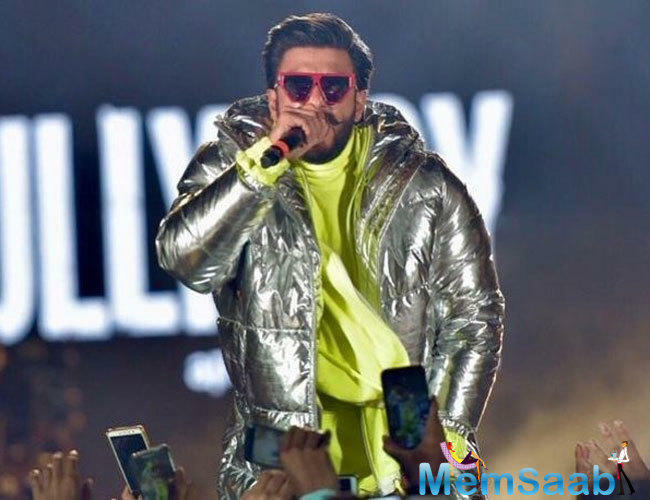 The makers of Gully boy organised a Grand music launch event in Mumbai on Thursday. The event started with Alia Bhatt welcoming the crowd present at the launch. 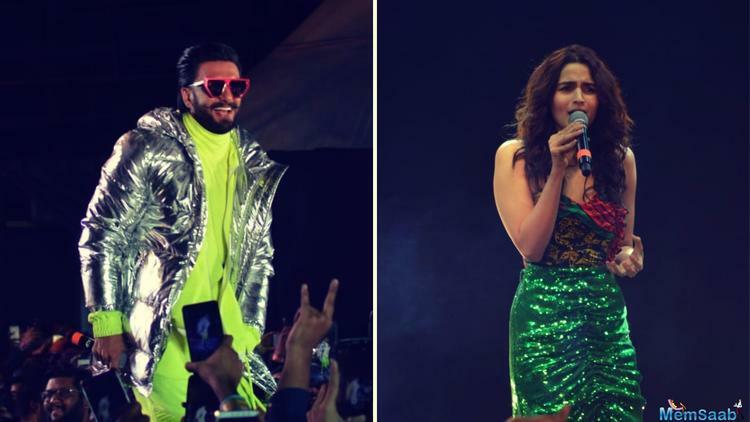 As the event progressed with Beat Boxing and Rap music being performed by various artists, Ranveer Singh joined in on multiple occasions. 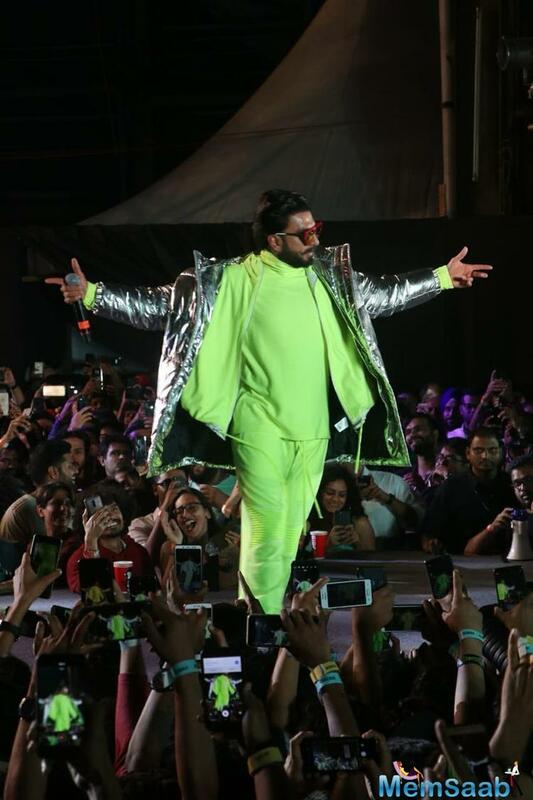 Ranveer Singh who was dressed in a neon green tracksuit and a silver jacket took the stage by storm with his high on energy performance which left masses into a tizzy. 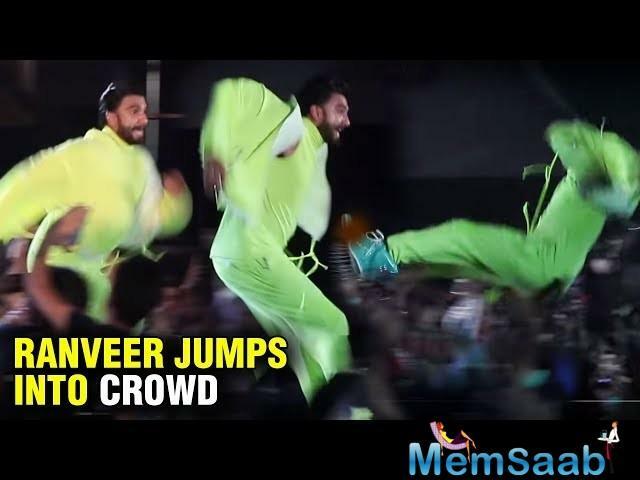 Owing to the response by the audience, Ranveer Singh dived into the sea of fans who were seen hooting and cheering for the actor. 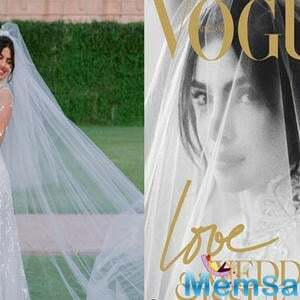 Two songs have been released from the film so far as music videos, and the complete ‘jukebox’ of 18 songs was released in conjunction with the concert. 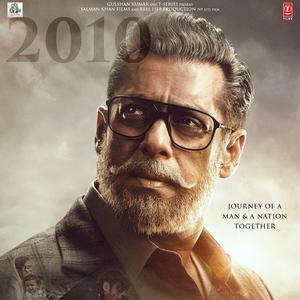 The album has songs titled Sher Aaya Sher, Azadi and Kaam Bhaari, and snippets from each were performed at the event. Hosted by Kubra Sait, the event progressed with Beat Boxing and Rap music being performed by various artists like Kaam Bhari, Siddhant Chaturvedi D-Cypher, Dub Sharma, D’Evil, MC Altaf, Rahul Rahi, Nexus, Spitfire, Ace, Beatraw, MC Todphod, Maharya, 100RBH, Noxious D, and Dee MC. 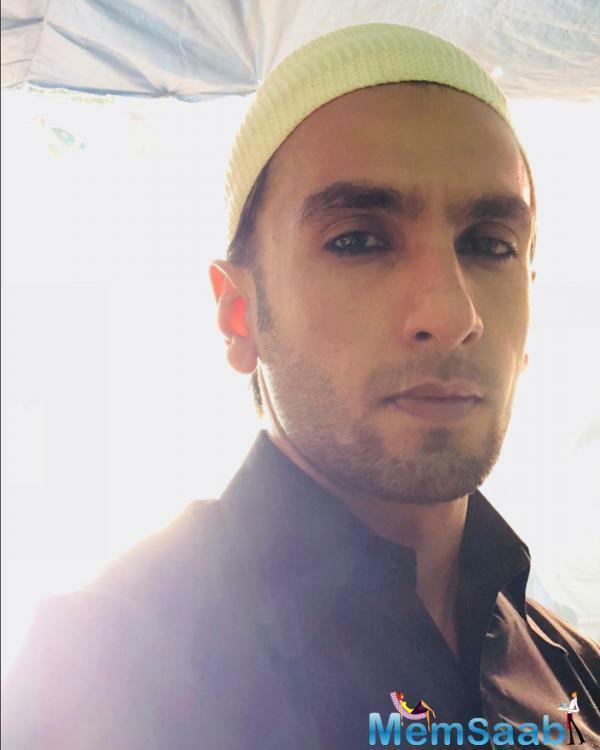 Ranveer Singh joined in on multiple occasions. He lent the centre stage to these Rap artists including Naezy the Baa, Divine and many more. The film is a story inspired by slum rappers of Dharavi. 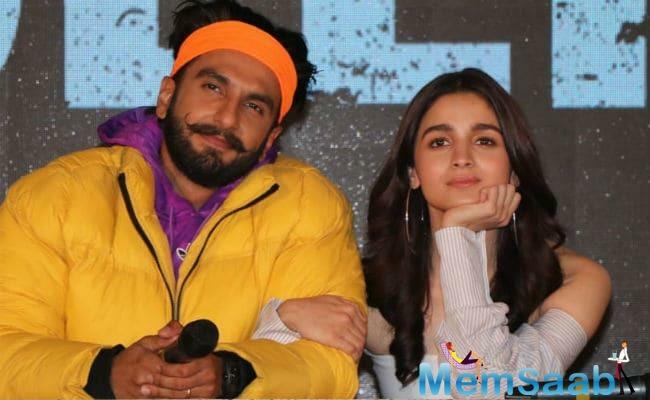 Ranveer Singh, who is paired opposite Alia Bhatt for the first time on the big screen, is playing the role of a street rapper. 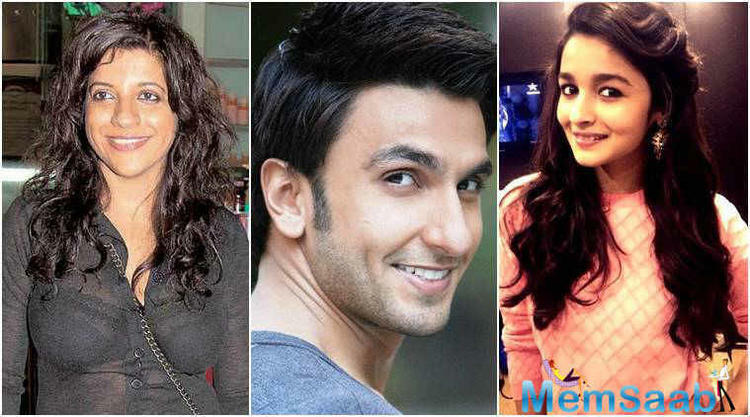 The film also marks the first time that Alia Bhatt is working with Excel Entertainment and Zoya Akhtar. 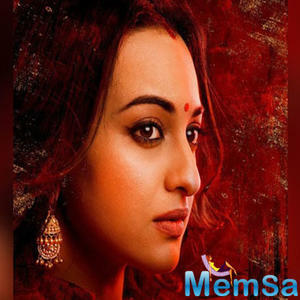 The actress will be seen in a never-seen-before avatar in ‘Gully Boy’. 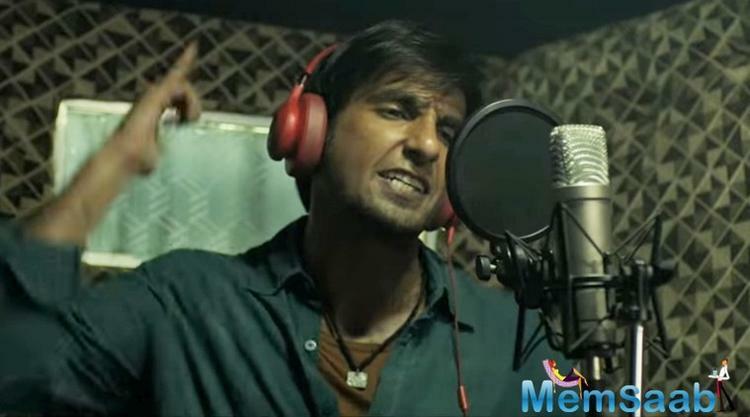 The audience has been hailing the rapper avatar of Ranveer Singh in the real world of underground music created by Zoya Akhtar.Directed by Zoya Akhtar, Gully Boy is produced by Ritesh Sidhwani and Farhan Akhtar under the banner of Excel Entertainment in association with Tiger Baby and this film on the underground rap movement in India is slated to release on February 14.